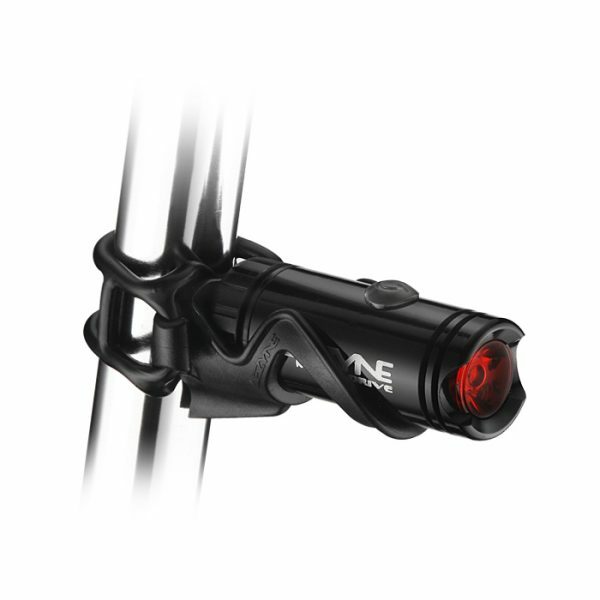 Lezyne’s Micro Drive Bike lights are single LED lights for both the front and back of your bike, with a unique mounting feature as well as featuring rechargeable batteries that can be charged using any USB port, whether that be on your computer, or any kind of charger. The beautifully designed lights are made of CNC-machined aircraft grade aluminium tubes, which makes them both beautiful to look at as well as extremely light. The aluminium design also gives them strength, and the anodized outside gives them a beautiful finish. On the front is the LED that serves as the light, while at the back is a removable screw cover that reveals the USB connection to charge them. 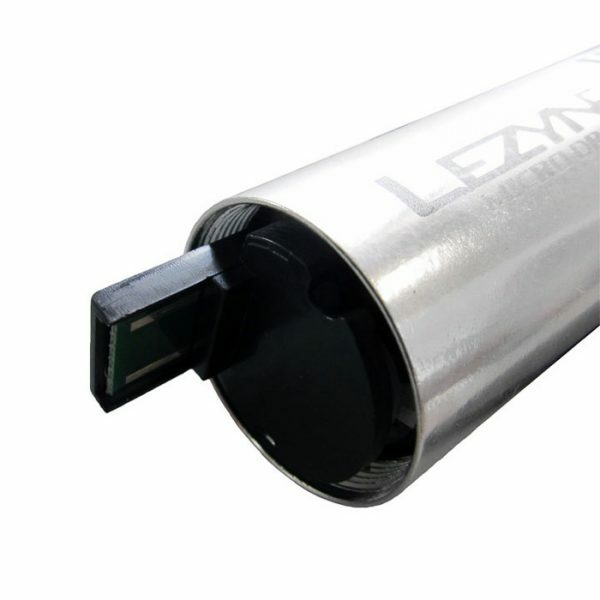 The USB connection is secured with an o-ring, making it safe against rain. On top is the power button, which also shines to give you the battery status, green for full, orange for medium, and red for low. A blinking red indicates very low. The LED lights both fit into snap fit plastic brackets that can be looped around a tube using the supplied rubber strap. Different straps exist for the front and rear, as shown in the pictures. These lights feature a novel mounting method, not seen in most bike lights. This means that it is easy to put them on or off. You get the strap stuck in one end, loop it around a tube (or whatever you are mounting your light to), and get it in the other end. Being a rubber strap, it is elastic, and will fit most diameters. This works for both the front and rear lights. This does mean that your light is never quite attached in a sturdy manner. Go over a pot hole, and you can actually see the light move a bit, and may even tilt a bit. This means that you cannot quite attach them to a mountain bike. The other thing is that if you live in a cycling city, and use your bike to commute, you may not want to leave your lights attached to the bike. Because of the rubber strap, you can easily take it off or on, but it does mean that your rubber strap will get looser over time. I have been using these daily since Christmas (Christmas present!) and the rubber has definitely loosened a bit. The other issue with mounting is that the bracket itself is quite stiff, so you have to push quite hard to put it in, or pull quite hard to get it out. That once again is a direct result of this mounting method, and I am not quite a fan of this. While you do not need to take the front light out to charge it, you definitely need to pop the rear light out to charge it, which means having to take it out of the plastic bracket. Probably one of the more exciting features that comes with this bike light is that if you take the back cap off, it reveals a USB connector that can be plugged into any free USB port to charge. Both computers as well as mobile phone/tablet chargers work for this. It takes about 3 hours to charge, though it may vary depending on where you plug it in. You may notice it only has two lines going there, instead of the usual four of USB. This is because there is no ‘data’ required, and you won’t need to install these if you did connect these to your computer. It just takes power out, and creates no fuss. Talking of battery life, the front light lasts about 2.5 hours on average use, which is the standard mode (called Enduro), though you can try other modes for lesser or more life. The rear lasts about 6-8 hours. What this means is that for an average cycle user, who cycles for about 15 minutes twice a day, you will have to charge this at least once a week. The rear may last you about 3 weeks. Of course, different modes can vary that. At the end of the day, it is all about the light output, and since these are intelligently driven LEDs, the brightness never varies, no matter how well fully or low charged the batteries are. The standard light is bright enough for most dark evenings/nights, but these lights even feature a ‘DAY TIME’ mode which feature a magical 200 lumens (enough to spot it in the daylight) for the front and 70 lumens for the back, once again enough to spot in the day time. The light itself is bit of a spot light, which may or may not be your thing, but for most road users, this is sufficient. However, if you are cycling out in the open, this may not be the main thing you are looking for. Then again, not many lights would do you then, so there you go. The lights are extremely easy to operate. You have to press the power button for 2 seconds to turn it on, and once on, just keep pressing the power button to adjust the mode. To turn it on in Daylight mode, just press the power button from off for 5 seconds, and it turns on in daylight mode. Next time, it will turn on in normal mode. These cost you about £70 for the pair, or about £35-£40 for either. A bit pricier than usual, but you pay the premium for the good quality, and the re-chargeable batteries. As far as bike lights go, these are definitely the ones of choice for me. A bit pricey, but that is something I am willing to pay for a good quality product. However, since I live and commute in Oxford, where I have had bike lights stolen, I have to take these off every time I leave the bike in a public place. This means that the difficulty I found with the mounting mechanism does prove to be a problem everyday. If they had another mounting bracket available, perhaps something which could be left permanently on your bike, while allowing you to take the light off, it would get a perfect ten from me. 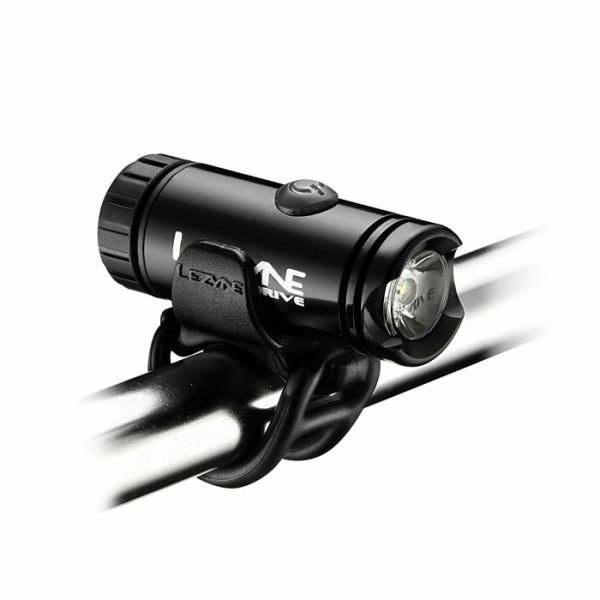 We’ve got some of the Lezyne Femto lights, had no problems with the strap but after continued use they become almost impossible to turn on, like the switch inside gets stuck or worn down. Sometimes you need to hold it for ages (10-20 seconds) or it won’t ‘click’ so you have to be really careful about how much pressure you put on it. Looks like those have a different switch though so maybe it won’t be a problem for you. I have noticed that problem on other lights I have used. In fact almost every one I have used. Not so far on these, but I’ll definitely update this if I see that. Hopefully not, as that would be very annoying. The flashlight should be very good, although I would like it to work longer at the maximum, it seems to me that a couple of hours is not much. I ride my bike bikesist for a very long time, deep into the night, I have it very cool, you just need to buy a suitable flashlight.